Here’s some good news: It could be easier than you think to turn your house into your dream home. But if you want great results without a lot of stress, it’s important that you have the right people working on the project—whether it’s a kitchen remodel, a bathroom remodel, or an addition. 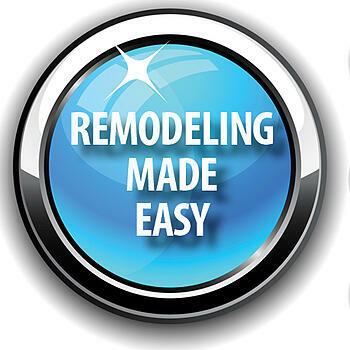 That’s why choosing a design/build remodeler for your project makes a difference. There are a lot of details involved in a successful remodeling of your home, but with a design/build remodeler those details are covered from the very beginning (developing a plan and an actual design for what needs to be done) through the completion. It starts by sitting down with your consultant or contractor to determine exactly what you want the finished project to look like. The construction part of the project needs to be done by skilled craftsmen who are up to date on the latest technologies and materials—who will also good at keeping you in the loop about what’s happening, and at keeping the project on schedule and within budget. The right construction team will take care of every aspect of the project, including electrical, plumbing, carpentry, and installation work—so you don’t have to worry about them. It’s also extremely helpful if you have a contractor who can offer you a large selection of countertops, flooring, fixtures, lighting, and cabinetry selections—that you can actually see firsthand in one place. That takes a lot of the hassle out of the remodeling process. So if you have a home you’d love to love even more—we invite you to tell us what you’d like your home to look like. We’d love to guide you through the process, step-by-step, until you have the Bonita Springs home you really want.